HomeEditorialEbola has gone underground – will it return to Sierra Leone? 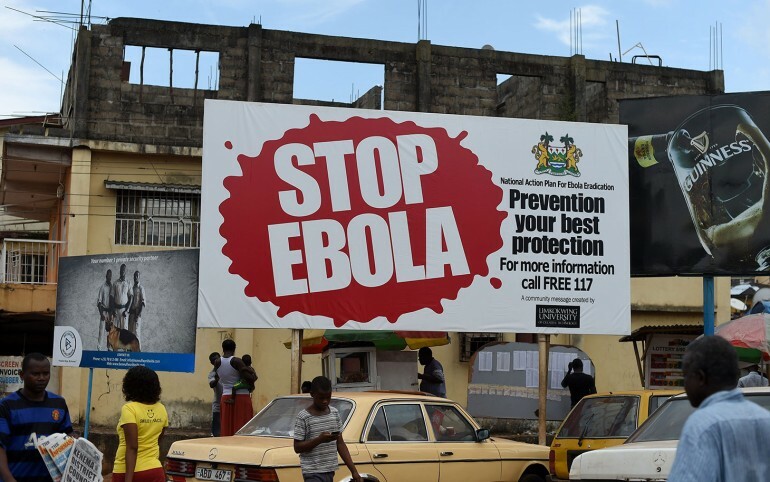 Photo: Last year, 7th November, 2014, a billboard “Stop Ebola” in Freetown. 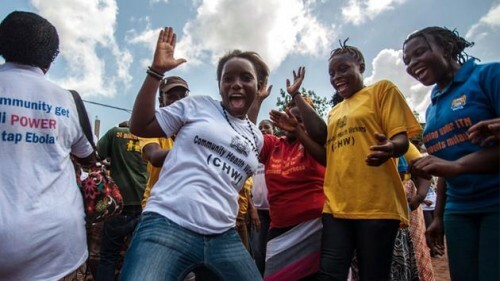 It is now seven days since Sierra Leone was declared Ebola Free last weekend – 7th November 2015, by the WHO. So far, there have been no reports of any deaths linked to the virus, since two fatalities were recorded on the 11th to 16th September 2015. All has been quiet on the war-front, except for the scare early this week in Freetown, when reports of a school teacher who collapsed and died, with blood coming out of his eyes and mouth at a school in Kissy, in the eastern district of the capital went viral. It is understood that the deceased was taken away for testing to determine cause of death. But there have been no reports about the post-mortem result. The ministry of health and the Ebola authorities have remained tight-lipped, prompting serious questions about government’s transparency and openness once again, in reporting suspected cases and allaying fears of citizens. Ebola has gone underground, but will it return to Sierra Leone? Hundreds of people previously placed under surveillance in Kambia and Bombali – the final frontier of the Ebola virus, have been cleared of the threat. Total number of new cases in the last 167 days is 94, and total cumulative cases since May 2014 stands at 8,704. There have been no new cases in the last 61 days. The last reported case was in Bombali, on the 13th September. All 102 new cases recorded since the 19th May 2015, were found along the Freetown – Northern Ebola axis. Total dead in the last 174 days stands at 50, whilst total dead the last 283 days stands at 706. Total cumulative deaths is 3,589, since May 2014 – when official counting began. But the health and welfare of the more than 3,000 people that are thought to have survived the virus, remains a cause for major concern. There are increasing reports across health centres in the country, of people complaining of difficulties with their vision. They are losing their eyesight. Other health complications, such as organ failure will continue to rise. And these cases remain largely undiagnosed. The death toll from multiple organ failures in Sierra Leone in the coming months is also expected to rise significantly, as a result of secondary health conditions left behind by the deadly virus. At the best of times, the immunity of more than 70% of the population of Sierra Leone is very low, due to poverty. Despite talks and massive propaganda about government’s efforts to put in place a coherent programme to resuscitate the country’s broken health systems, it seems very little lessons have been learnt from the Ebola crisis. It is business as usual in most of the hospitals and for many health workers and doctors, that have to make do with very little financial resources. Whilst the government says that the health of the nation is a national priority, this rhetoric is not being matched by its deeds. There are concerns that the government’s 2016 budget, has once again failed to address the serious calamity and deep rot that has been exposed by the Ebola virus across the health systems in the country. 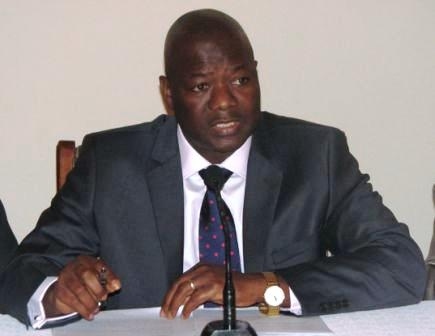 The Sierra Leone Telegraph has asked the ministry of finance to publish its 2016 Budget Statement read out in parliament by minister Marah (Photo) last Friday, but fails to do so. This is very poor, for a government that is hoping to win the Global Open Government Initiative competition. Why is the government hiding the full details of its budget figures for next year – 2016? It is now more than two years since parliament passed the Freedom of Information Act, now described as a sham and a toothless bulldog. The process for submitting requests for information under the Act is yet to be put in place. In the meantime, State House and several government institutions continue to shroud their activities and spending in secrecy, making mockery of the values of transparency, openness and probity. Despite expectations that the Ebola crisis would usher in root and branch changes across State House and government, it seems old habits have once again returned. The health sector will once again bear the brutal brunt of government’s inability to prioritise. Poor governance, corruption, and the misappropriation of public funds remain entrenched. And so too are the societal cultural practices that made it very difficult to tackle the Ebola virus – many of which are driven and perpetuated by poverty, continue to be observed across very poor communities. Ebola may have gone underground in Sierra Leone, but poor sanitation, lack of clean drinking water, poor access to electricity and overcrowding remains. These are the conditions upon which mass communicable diseases are bred. The human tragedy left behind by the virus, speaks volumes. Cumulative Ebola cases in Kailahun today stand at 565, after 334 days of zero new cases. In Kenema, 503 people were diagnosed with the virus, and no new cases have been reported in the last 265 days; whilst Kono had 253 cases, with no new cases in the last 262 days. 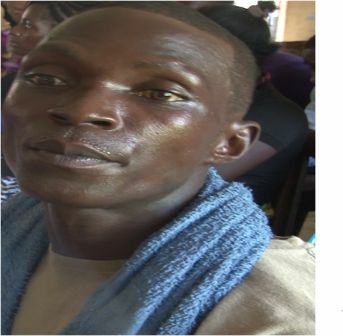 Bombali had 1,050 cases, and has now gone 61 days without any new case; Kambia 259 cases and 64 days without a new case; Koinadugu 109 – no new cases in the last 209 days; Port Loko 1,484 and zero new cases in the last 121 days. Tonkolili 457 and no new cases in the last 103 days; Bo 314 – no new cases in the last 303 days; Bonthe 5 – no new cases in the last 328 days. The north – in particular Kambia and Bombali, Port Loko, the capital Freetown and Kono, continue to be placed on special Ebola watch. Southern districts have shown exemplary standards in the fight against Ebola. But there is the ever present and continuing risk of a resurgence of Ebola in Sierra Leone, originating from neighbouring Guinea. Liberia’s Helen Sirleaf has shown a good example to her two colleague presidents in Sierra Leone and Guinea. Ebola may have gone underground in Sierra Leone, but it seems lessons have not been learnt by the Koroma government, nor have the people of Sierra Leone generally abandoned old customary practices that gave succour to Ebola in the first place. 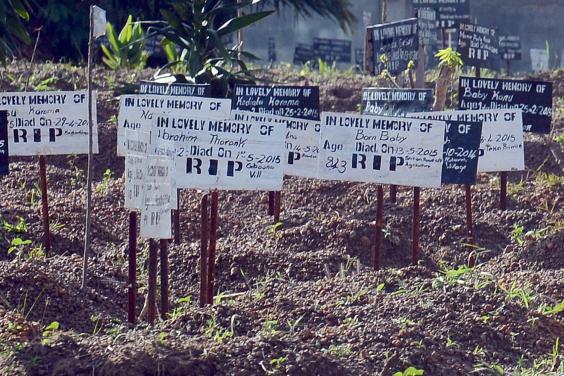 Will Ebola return to Sierra Leone? The Sierra Leone Telegraph will publish a comprehensive analysis of this statement shortly. Thank God we are Ebola free, and till now no new cases. Sweet Salone.